Description: Anti-Irish political cartoon titled "The Usual Irish Way of Doing Things" by Thomas Nast (1840–1902), published in Harper's Weekly on 2 September 1871. Captions on walls: "Everything obnoxious to us shall be abolished, Our liberty has been taken away (killing Orangemen), We must rule." 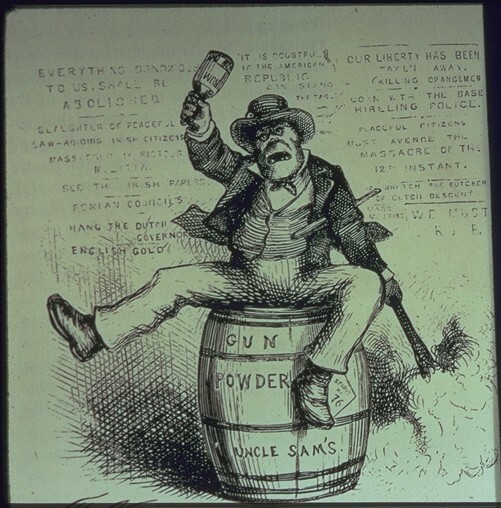 Caption on barrel: "Uncle Sam's Gun Powder." This page was last modified on 21 April 2017, at 02:27.